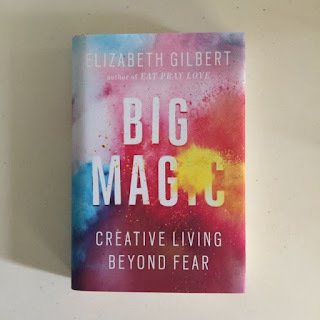 Big Magic: Creative Living Beyond Fear by Elizabeth Gilbert is an awesome, quick read with a couple hundred pages that I guarantee will hook you from the word go. Elizabeth Gilbert is best known for her memoir Eat Pray Love which happened to be on the New York BestSeller list for 3 years, and later became a Hollywood movie starring Julia Roberts. As a huge fan of Elizabeth's work, I was eager to find out what she had in store for creatives like us in Big Magic. I say us because as you'll soon find out below, we were all created creators; in short, we are all creatives. I hope these 10 treasures will jog your memory if you have already read this book, or spark an urge in you to get your own copy and indulge yourself if you haven't. Do whatever makes your heart sing and let it be imperfect because it is likely that no one will even notice. "We all spend our twenties and thirties trying so hard to be perfect because we're so worried about what people will think of us. Then we get into our forties and fifties, and we finally start to be free, because we decide that we don't give a damn what anyone thinks of us. But you won't be completely free until you reach your sixties and seventies when you finally realize this liberating truth - nobody was ever thinking about you, anyhow." With this knowledge, you have the ability to liberate yourself from your insecure thoughts. You can finally pursue the things that fascinate you and make your heart sing, giving the outcome permission to be imperfect because it is very likely that nobody will even notice. The most beautiful thing is now you understand that just like you, everyone else is too busy thinking about themselves and their lives to be talking all that much about you and yours. So it's time you live your life unapologetically. In the book, you will meet Susan, who at the age of forty took to figure skating after more than 2 decades. She had quit skating in her teens after realizing she did not have enough talent to be a champion. This way of thinking naturally places pressure on anything so I understand her decision. When she turned forty, she went through some soul searching and realized that her current state of restlessness and heaviness had a remedy. It came from asking herself an important question - when is the last time she felt truly light, joyous, and yes creative in her own skin? After this soul-searching, she realized it was decades ago while figure skating as a teenager. According to Elizabeth, "Susan was appalled that she had denied herself this life-affirming pursuit for so long, and she was curious to see if she still loved it. So she followed her curiosity. She bought a pair of skates, found a rink, hired a coach, She ignored the voice within her that told her she was being self-indulgent and preposterous to do this crazy thing. She tamed down her feelings of extreme self-consciousness for being the only middle-aged woman on the ice, with all those tiny, feathery nine-year-old girls. She just did it. Susan still figure skates several mornings a week simply because skating is still the best way for her to unfold a certain beauty and transcendence within her life that she cannot seem to access in any other manner. And she would like to spend as much time as possible in such a state of transcendence while she is still here on earth. That's what I call creative living." It is important to note that Susan did not quit her job. She just added skating into her weekly to-do list. And so can you with your passion. As you noticed in the 2nd treasure, curiosity led Susan to discover something about herself she had forgotten. Elizabeth says she prefers curiosity to passion: curiosity is what keeps you working steadily, while hotter emotions may come and go. She encourages us to follow our curiosity, ask questions, sniff around and remain open. She also says that we should trust in the miraculous truth that new and marvelous ideas are looking for human collaborators every single day. All we need to do is let them know we are available. Ideas look for collaborative humans to partner with but if you do not give them the attention they deserve, just like any other relationship they move on to someone else who will. I was so used to the tired idea that if you share your ideas, someone might steal them - until I read Big Magic. Because unless you are ready to work on an idea, it is of no use to you. Just as the name of the book suggests, ideas are somewhat magical. For example, Elizabeth narrates how she and her friend Ann happened to have the exact same storyline for a book they each wanted to write. Elizabeth got the idea first but due to a relationship issue, she lost the spark that came with the idea. And so the idea was transferred to her friend in the most remarkable way. In this case, the idea got a better collaborator in Ann to make it manifest. Ann later saw it to completion and published the book. Instead of Elizabeth beating herself up she used this experience as evidence of her beliefs about creativity; that ideas are alive and that they seek the most available human collaborator. Elizabeth says "Ideas have no material body, but they do have consciousness, and they most certainly have will. Ideas are driven by a single impulse: to be made manifest. And the only way an idea can be made manifest in our world is through collaboration with a human partner. It is only through a human's efforts that an idea can be escorted out of the ether and into the realm of the actual." Hard work guarantees nothing in the realms of creativity we should work with stubborn gladness on our craft no matter the outcome. It is never guaranteed that one will succeed as a creative but one thing is for sure at the very least you will know that you tried. And that no matter the outcome, you have honored your heart and traveled a noble path. Elizabeth also adds "My ultimate choice, then is to always approach my work from a place of stubborn gladness. I worked for years with stubborn gladness before I was published. I worked with stubborn gladness when I was still an unknown new writer, whose first book sold just a handful of copies - mostly to members of my own family. I worked with stubborn gladness when I was riding high on a giant bestseller. I worked with stubborn gladness when I was not riding high on a giant bestseller anymore, and when my subsequent books did not sell millions of copies. I worked with stubborn gladness when critics praised me, and I worked with stubborn gladness when critics made fun of me. I've held to my stubborn gladness when my work is going badly, and also when it's going well." Shake off failure and shame in order to keep living a creative life. And this is what Elizabeth had to say about this: "First of all, forgive yourself. If you made something and it didn't work out, let it go. Remember that you're nothing but a beginner - even if you've been working on your craft for fifty years. We are all just beginners here, and we shall all die beginners. So let it go. Forget about the last project, and go searching with an open heart for the next one." If you have been studying a bit about the law of attraction, you may have come across the phrase what you focus on you attract. So if you keep on moping about your failure and how uncomfortable it makes you feel, then you are bound to keep on going in a loop of similar experiences. So I suggest you do yourself a favor and just let it go. All will be well. And remember the 1st treasure - it is exceedingly likely that nobody will remember or even notice your failure. There are times when you feel like things are too crazy and you need a break from your craft; look for another lighter creative avenue to pursue, while you take your break. Elizabeth put it so well, "Be not solitary be not idle. Find something to do - anything, even a different sort of creative work altogether - just to take your mind off your anxiety and pressure. 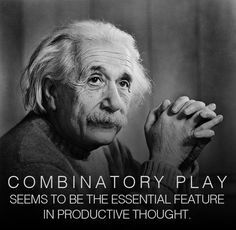 Einstein called this tactic "combinatory play" - the act of opening up one mental channel by dabbling in another. This is why he would often play the violin when he was having difficulty solving a mathematical puzzle; after a few hours of sonatas, he could usually find the answer he needed." we received some advice from the guests of honor during the graduation ceremony. One piece of advice stuck and it went something like "No matter what your craft takes you through, do not let yourself be at the mercy of substance abuse." Elizabeth adds "All I can tell you for certain is that my entire life has been shaped by an early decision to reject the cult of artist martyrdom, and instead to place my trust in the crazy notion that my work loves me as much as I love it - that it wants to play with me as much as I want to play with it - and that this source of love and play is boundless." That is a belief Elizabeth decided to cultivate. A belief is basically a thought that you continuously think until it becomes true to you. If you believe that you are just playing with your craft, and just like any other game at times you win and at times you lose, then it's no biggie. You will wake up the next day and play again no matter the outcome. Losing yourself to booze or on a puff is only a temporary fix. This simply takes us back to the 6th treasure which was you need to shake off your failure and shame in order to continue living as a creative. According to Elizabeth and I agree with her "Not expressing creativity turns people crazy. (If you bring forth what is within you, what you bring forth will save you. If you don't bring forth what is within you, what you don't bring forth will destroy you - Gospel of Thomas.) Bring forth what is within you, then, whether it succeeds or fails. Do it whether the final product (your souvenir) is crap or gold. Do it whether the critics love you or hate you - or whether the critics have never heard of you and perhaps never will hear of you. Do it whether people get it or don't get it." Learn to cooperate with inspiration, make the environment conducive for a worthwhile partnership. Inspiration and ideas are almost synonymous and as we learned in the 4th treasure, we are supposed to have a respectful partnership with inspiration too. Living a creative life comes with the responsibility to clear all the obstacles that may prevent creative living. If you are wondering what kind of obstacles these are, just know that what is bad for you is probably bad for your work too. Elizabeth advises that you may want to lay off the booze a bit in order to get a keener mind. Also, nourish healthier relationships in order to keep yourself from being distracted by self-invented emotional catastrophes. To sum up all these 10 treasures, just know that it is okay to be pleased with what you have created. And if your project did not work, you can choose to take it as an experiment that taught you a couple of things - rather than a chance to carry blame and sink into shame. If it gets too heavy for you, don't let yourself be at the mercy of substance abuse. You can battle your demons through other means such as meditation to quiet your mind and put you at ease; therapy, as a problem shared, is half solved; recovery, rest and restoration; prayer or any other way to get in touch with your spirituality. And through another creative endeavor that is different from your main one, just to mention a few. Keep in mind that ideas and inspiration are your partners and require respect and commitment just like any other relationship. Also, remember that it is not guaranteed that you will "succeed" at your craft in societal terms. But the fact that you are even working on what makes your heart sing, means that you have won in your own relationship with your heart by following a noble path. Have you read Big Magic? Which of these 10 treasures stands out to you and why?